This property was owned and loved by the Crain family for two generations. 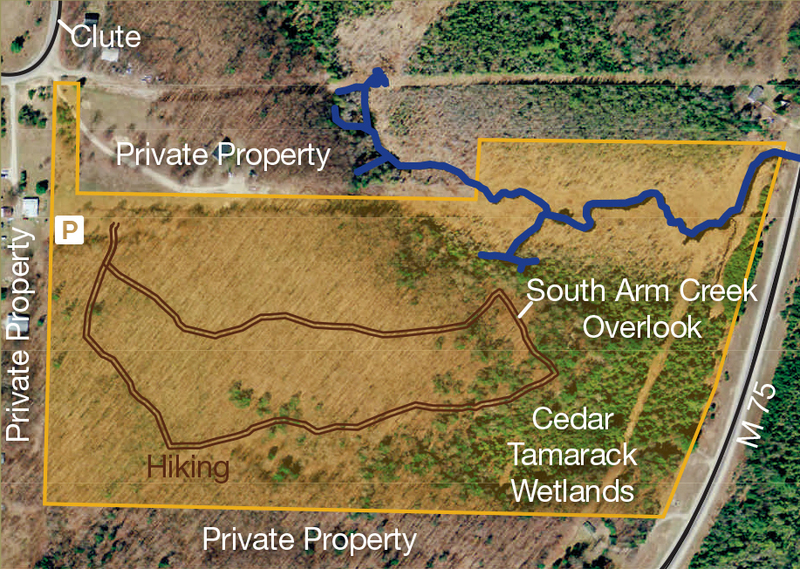 This preserve supports second-growth hardwood forest, great bird habitat, stretches of South Arm Creek and cedar and tamarack wetlands. Entrance driveway is adjacent to 00301 East Clute Road, Boyne City where East Clute Rd becomes West Clute Rd. Follow the “Preserve Parking” sign .